Every year since Bella has had a birthday party, it’s always been a really big deal. 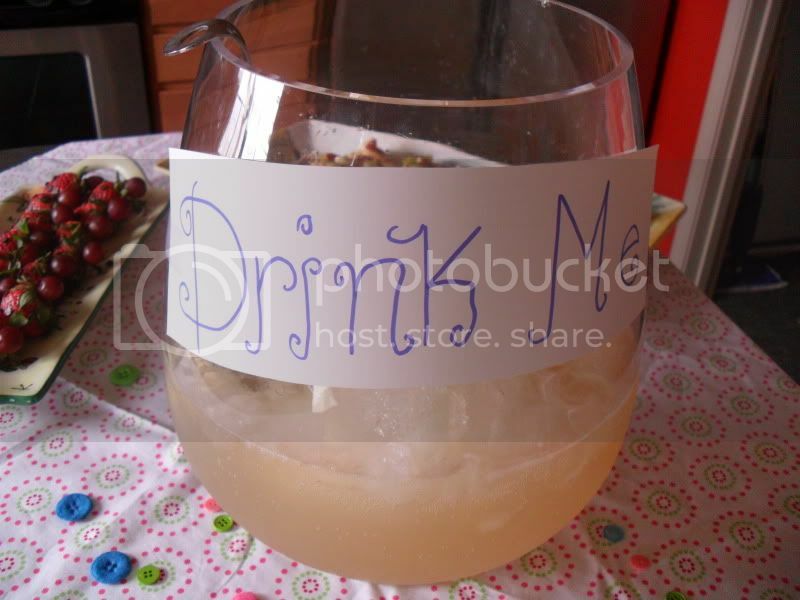 I believe it has something to do with the fact that when I was little I seldom remember having a party.So,when it comes to my girls, we love to celebrate the party in a big way. I mean, who doesn’t love a party? 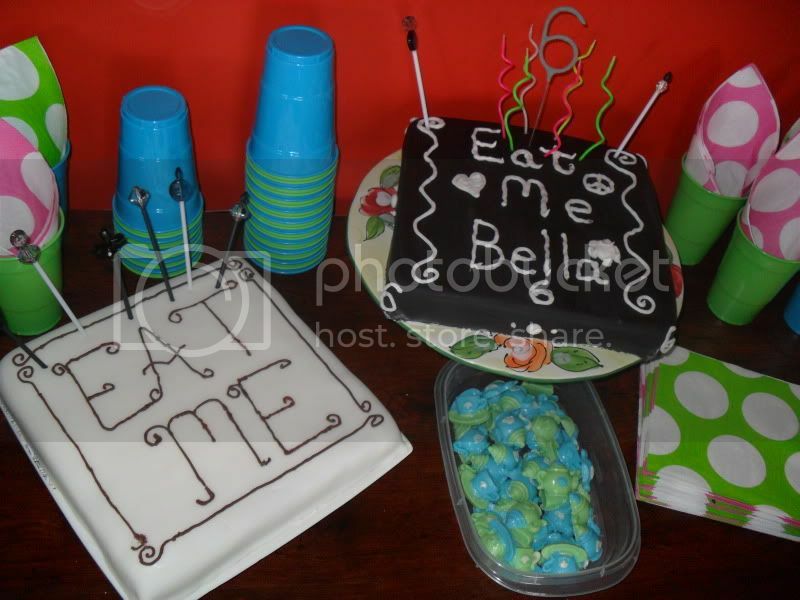 I am fully aware that the Bellapalooza of 2009, when she turned 4, was a bit excessive. I do recall something like 4 parties being had in a one week span of time. There was the family party on her actual birthday, the Fancy Nancy tea and spa experience with her fellow ballerinas, then there was the birthday play date celebration and last but not least the extended family and traveling friends party. It really was Bellapalooza but it was so much fun & Bella has since referred to her birthday week as Bellapalooza. The cakes made by the Big Guy! 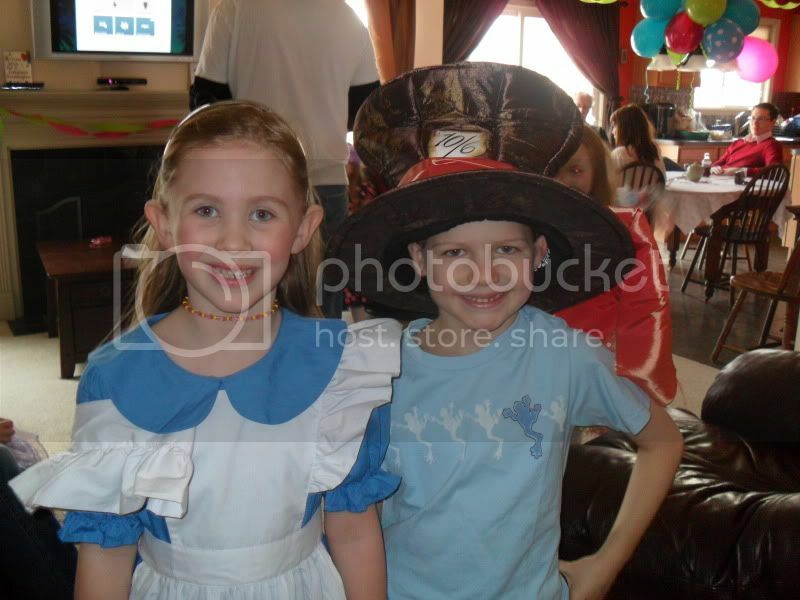 This year, Bella was adamant that she wanted a Alice in Wonderland birthday party.This girl always wants a theme that is “not available” in stores. Of course you can’t find party favors for Alice in Wonderland, so we improvise..as always. But this year, I was determined to keep the party to 1! After 6 years of birthday parties, I’ve come to the realization that the party is about the birthday girl having fun..the rest is not important. So, after much searching and creativity, we found just the right decorations. It was a small party with all the immediate family and a few friends and classmates. 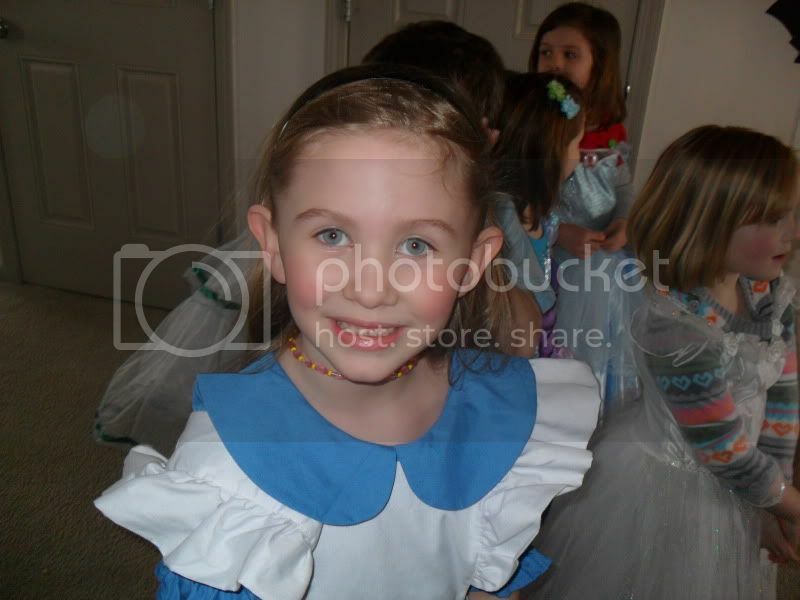 Obviously, Bella dressed as Alice.She dresses in costume for every theme party. The Wonderland aspect of this party was really the friendship and family. Bella was over the moon that her friends from school and her play date friends were all there to celebrate with her. She was also over the moon because her Grandpa Manny, my Dad, who normally comes and serenades her on her birthday ( this is a long standing tradition in our home. He has serenaded me and my sisters every birthday with Las mananitas (traditional Mexican birthday song) since we were born. Bella was absolutely devastated that he would be out of the country for this birthday party) called from Mexico to play the guitar and serenade her.All was right with the world! Party was a huge success and birthday girl was over the moon! The.End! those were some nice looking birthday cakes. You think the cakes look good? You should see that fine looking hunk of man meat that created them.I think I’m going to make him my secret love slave. Mujer. a week of parties?!? You make me look horrendous! LOL I’ll blame being knocked up for tricking my kid out of a party this year. But that party looks amazing! I’m so glad your dad got to call her! So sweet. All I know is you know how to party and the next time I end up in a city near you, there better be a fiesta. A big one. I bet your girl had just as great a time as Bella did with her party. Kids, just want to have fun.I don’t think they care who’s there as long as Mommy and Papi are there!